We appreciate your continued confidence in working with our office. To ensure the best comprehensive care for our mutual patients, please download and print this referral form PDF and provide as much detailed information as possible to help with diagnosis and treatment planning. If including images, please send with the patient or email in a JPEG file format to patientcare@carolinaoral.com. 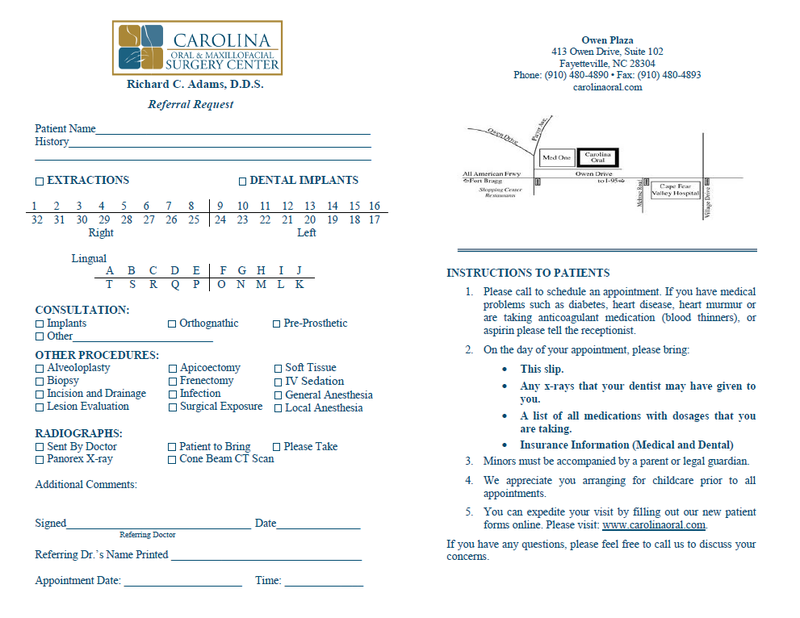 If your patient is given the handwritten referral, please fax us a copy to 910-480-4893. Thank you!